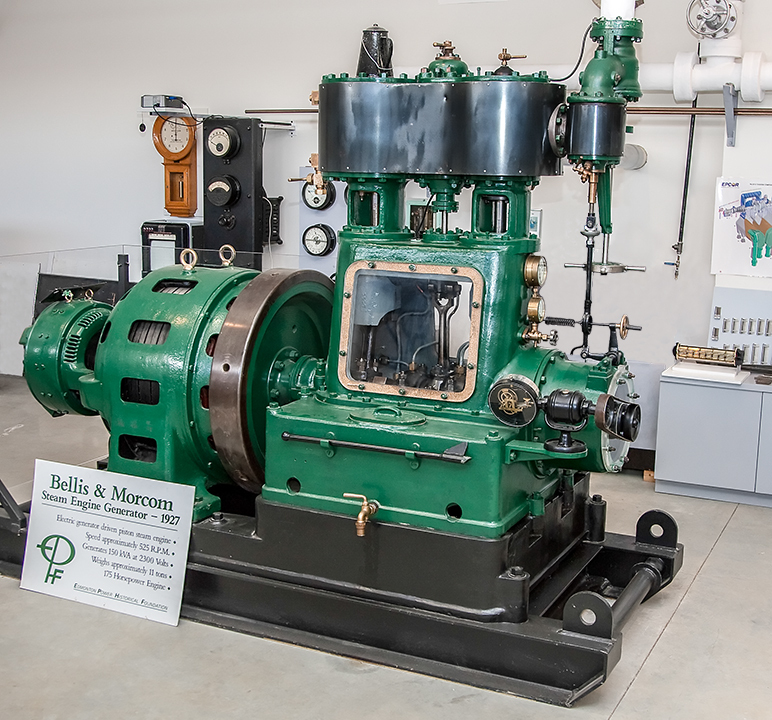 The Belliss and Morcom Steam Engine represents several steam engines used in the 1903 generating station. A steam engine is an external combustion heat engine that makes use of the heat energy that exists in steam and converting it to mechanical energy. Steam engines were used as the prime movers in pumping stations, locomotives, steam ships, traction engines, steam lorries and other road vehicles. 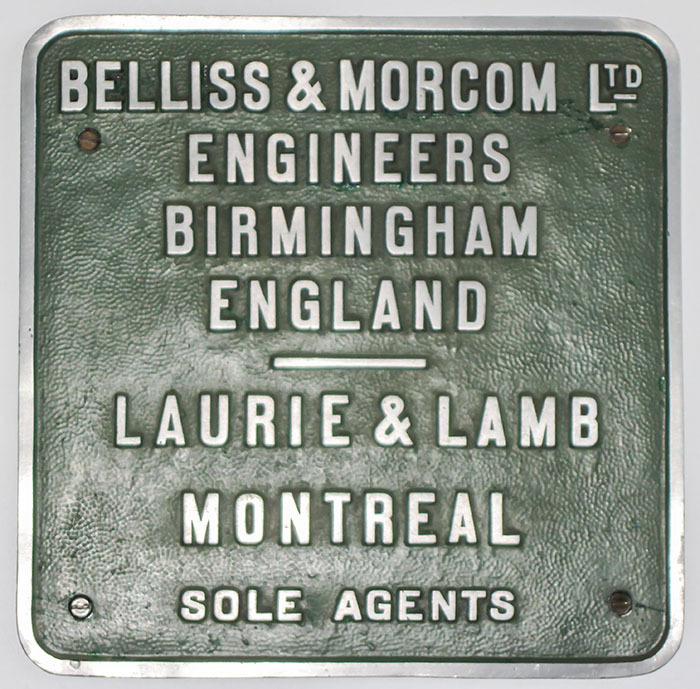 They were essential to the Industrial Revolution and saw widespread commercial use driving machinery in factories and mills. 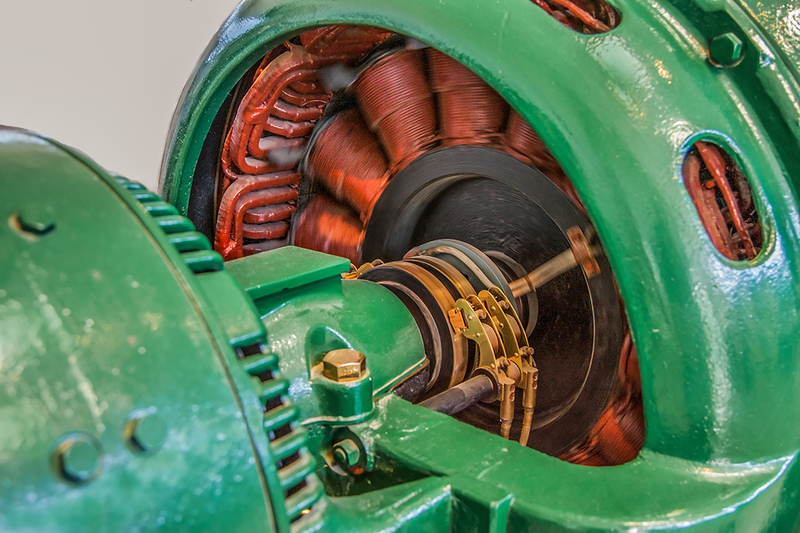 Most steam engines have been superseded by internal combustion engines and electrical motors. However, steam turbines, which are technically a type of steam engine, are still widely used for generating electricity.